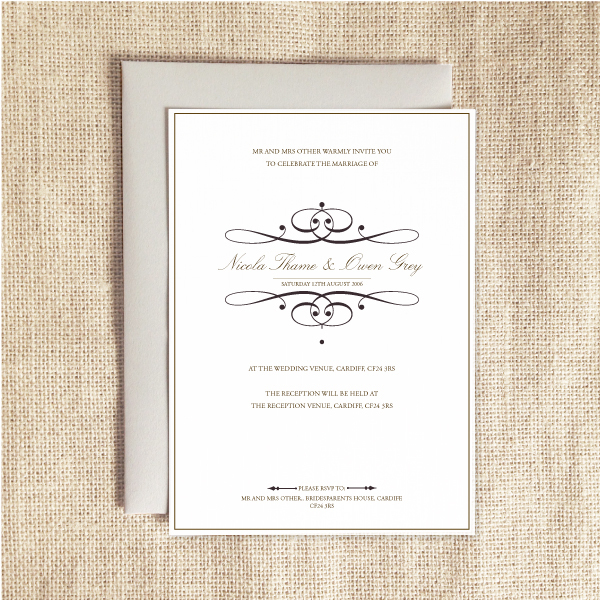 Capture the glamour and excess of the 1920s and 30s with art deco wedding invitations from Olive Weddings today. 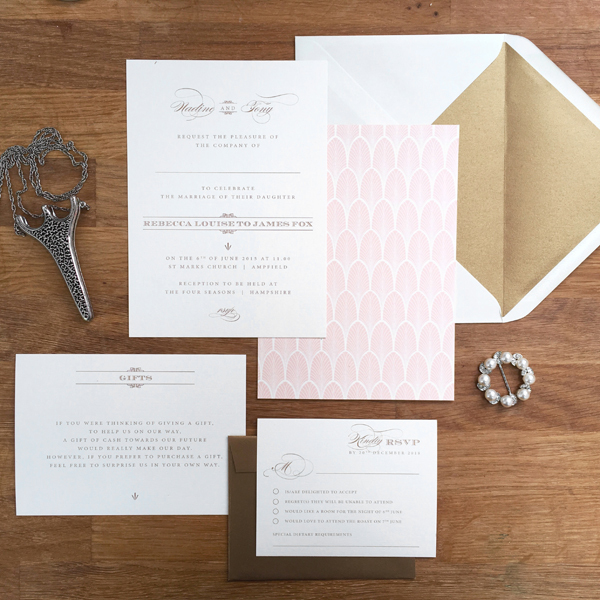 Your wedding invitations offer the first glimpse of your wedding, making art deco wedding stationery perfect if you plan of having a stylish art deco- inspired wedding, and a lavish wedding reception to match it! 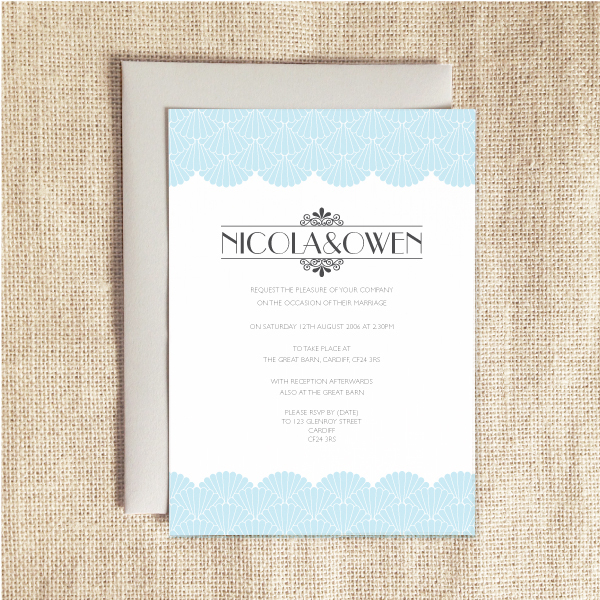 Our art deco wedding invitations are influenced by the chic fashions and architecture of the period, bringing together clean, bold lines and classic fonts to create effortlessly chic wedding invitations which you can customise to ensure you’re sending out truly unique art deco wedding invitations to your friends and family, as well as keeping to your theme or colour scheme. 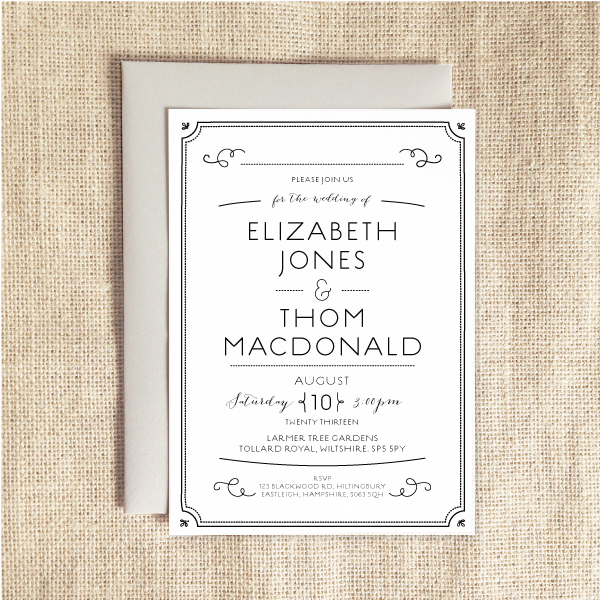 From pretty pastels to bright colours and dramatic monochrome, you’re guaranteed to fall in love with our range of art deco wedding invitations. 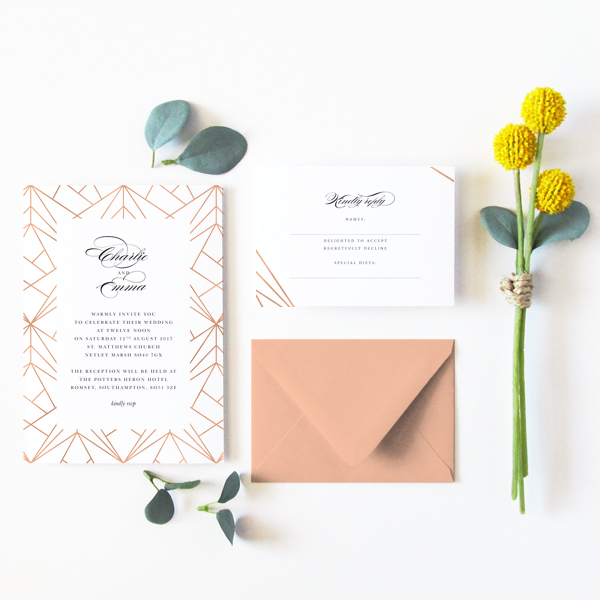 If you’re after something truly special, simply choose accessories from our range of embellishments to finish off the look of your art deco wedding invitations. 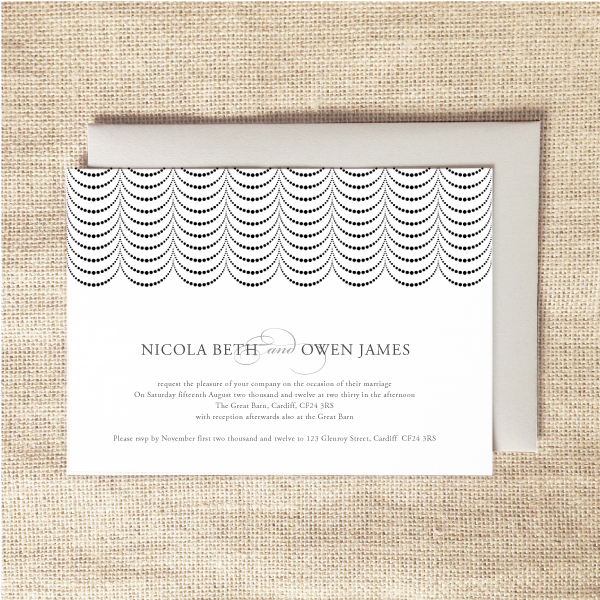 To find out more about our art deco wedding invitations, simply give us a call on 07737 361 168 today.